NOTE: Today’s post is by Points contributing editor Michelle McClellan. 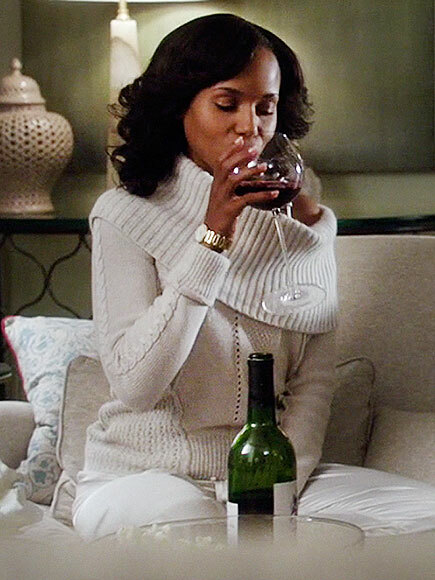 A recent piece in The New York Times about the wine-drinking habits of powerful female characters on television made me recall wine coolers, sweet blends of wine and fruit flavors that were packaged like soda and beer in bottles for individual consumption. Some readers may be too young to remember them—they were most popular in the 1980s and early 1990s. Looking back now, I realize that for those of us of a certain age, they could serve as a gateway drug, and not just because of their sweet, almost Kool-Aid-like flavors. 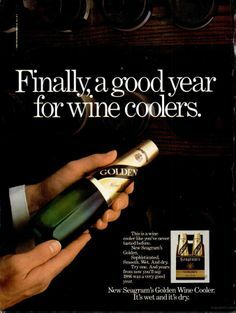 For young women who were too naïve and uncertain to know what wine or beer or cocktail to ask for, yet well beyond the era when we would expect or want a man to order for us, wine coolers were an easy and at that time at least, socially acceptable alternative—which is no doubt what the manufacturers intended. By all accounts, women’s drinking has gotten more serious since then, and in more ways than one. In the piece in the Times, Eric Asimov describes the drinking habits of Olivia Pope, the glamorous political fixer on Scandal, and Alicia Florrick, the ambitious lawyer on The Good Wife. Both drink a lot—they “gulp” and “guzzle” according to Asimov, who looks at how wine functions as a character device in these programs as well as others. Tellingly, the piece appeared in the “Dining” section and part of Asimov’s point is that drinking to self-medicate as these women do is a waste of fine wine. “For me,” he writes, “the use of wine as a prop is not so much an issue of morals or health as it is of aesthetics.” He laments that the characters commit such faux pas as holding the glass the wrong way and failing to “swirl and sniff” before drinking. Yet he also notes that too much attention to the rituals of wine drinking would undermine the message of strength and action that their choice of red wine (rather than white) is meant to convey. Both of these drinking patterns echo earlier concerns about women’s consumption: that entering the male world of work will cause women to drink like men, while domestic life allows hidden drinking. What seems to be new is that women at home are flaunting their drinking, as the brand names suggest. Drinking mothers are also claiming that alcohol is something they have earned at the end of a hard day, just like men and women who work for wages. “Moms everywhere deserve a break,” declares the maker of MommyJuice Wines. “So tuck your kids into bed, sit down and have a glass of MommyJuice — because you deserve it!” Whether your job is managing politicians or toddlers, whether the messes you clean up have to do with national security or Play-Doh, you too can take the edge off in the evening with a large glass of wine. The claim that full-time parenting is work, and hard work at that, is important. But I do not think that these drinking patterns are seen as equivalent in our society today—drinking with children present, or when one is responsible for children even if they are not watching, makes many people uncomfortable. That many accounts of pinot grigio on play dates are accompanied by defensiveness or a kind of rueful giggling is an important acknowledgement of this ambivalence. 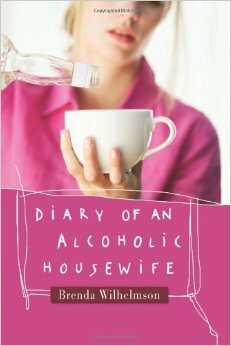 It is also no coincidence that a recent spate of recovery memoirs by women are framed through their domestic lives, as evidenced by their very titles: Rachael Brownell, Mommy Doesn’t Drink Here Anymore (Conari Press, 2009), Brenda Wilhelmsom, Diary of an Alcoholic Housewife (Hazelden, 2011), Stephanie Wilder-Taylor, Sippy Cups are Not for Chardonnay (Gallery Books, 2006). These women offer their stories of drinking and recovery not as women but as mothers, evoking all the cultural baggage that attaches to that association. I do not wish to minimize the pain these women and their families went through, nor the magnitude of the achievement represented by their sobriety. But I am struck by how the titles and framing of these books reinforce the idea that motherhood is the most important lens for understanding the relationship between women and alcohol. I also wonder about the connection between this genre and the problem of tone I mentioned earlier, that many women default to an apologetic stance in describing any kind of drinking. I want to emphasize that it is good news that women’s alcoholism is not as hidden as it once was and that the authors of these memoirs have been willing to step forward. But I do wonder whether the mode of full-fledged recovery narrative has reduced the space available for other kinds of discussion. Perhaps the notion of alcoholism as a progressive disease is so entrenched that women fear that articulating that they occasionally enjoy a glass of wine or a night out with friends will reveal them as incipient alcoholics. But are we really afraid that any woman who drinks will become alcoholic, or is this discomfort a sign of continuing ambivalence about women—especially mothers—occasionally putting themselves first? ← Previous Post The Outbreak Narrative: What has changed this time around? Wine as a family mealtime beverage and medicine is so traditional it’s in the Bible. Drinking alcohol in front of children is not wrong. Neglecting them or letting them get to it is wrong. And it is true that good wine is not for headache relief. The thing about wine in modern societies is, if it is high quality it is appallingly expensive, and if it is low quality it is sickening. That’s why beer is more appropriate for a mealtime beverage. And then there is sweetened wine, such as coolers or fortified wine. The problem there is that children like the smell and might get into it. 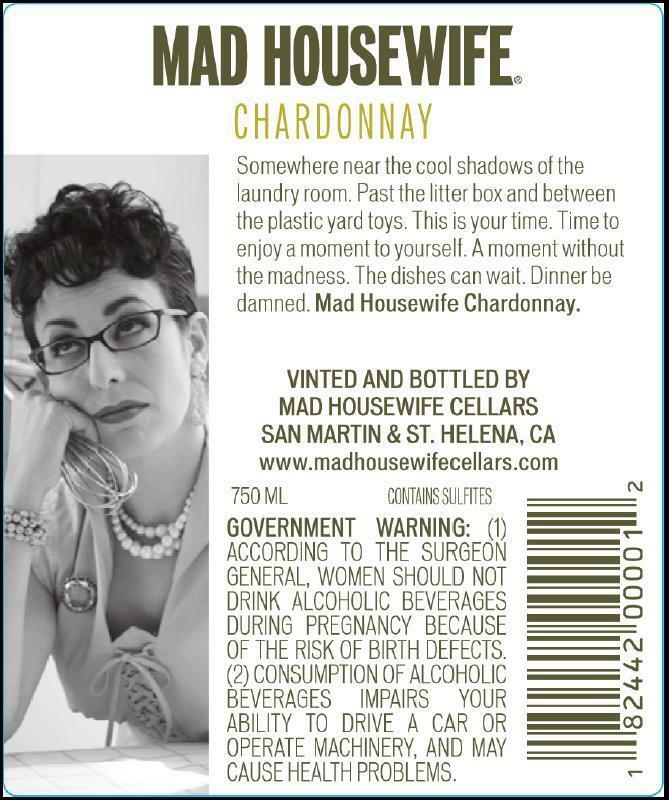 1) As a wine blogger (http://winepredator.com), I am disturbed by the wines that are marketed to me as “women’s” wines. 2) When men drink wine in media, they gulp and guzzle also. No one makes a big deal of men not swooning, sipping, swirling over the presumable high end wine they are drinking. 3) On the subject of women and wine being seen through the lens of motherhood: I was at the 2014 Wine Tourism Conference last week where there were more women than men in attendance and fortunately a good number on stage presenting. Unfortunately, a man introduced one panel of all women calling them “girls” and defining them by their motherhood and long commutes told of their commitment. Children weren’t mentioned when men were introduced at the conference (and certainly no one would have called them boys). While it is good that women are visible in these shows and with new marketing, it is another sad reflection of a culture who deems- and prefers- women to be more chaste than men. The white wines – accompanied by giggles, allusions to “mommy juice”, hiding – are a recognition of the wantonness attached to women who drink, and is – in effect – using motherhood and acknowledged guilt to temper characterizations of licentiousness. Reds are masculine wines, apparently appropriate for ambitious, high-powered, professionals. It seems the gulping and guzzling (and outlandishly oversized pours) of red wine attributed to the more aggressive and powerful female characters is , I’d say, a statement of their gender-break from the demur, feminine behaviors of properly chaste women.